The iPhone XR was the best selling iPhone model in the U.S. last quarter, according to a new report from Consumer Intelligence Research Partners. CIRP found that the iPhone XR accounted for 39% of sales in the quarter despite not being released until October 26, 2018. 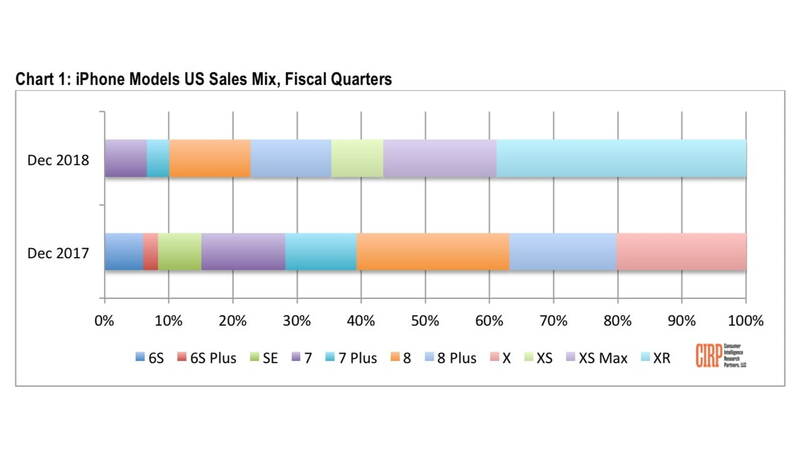 The iPhone XS and XS models accounted for 26% of U.S. sales.